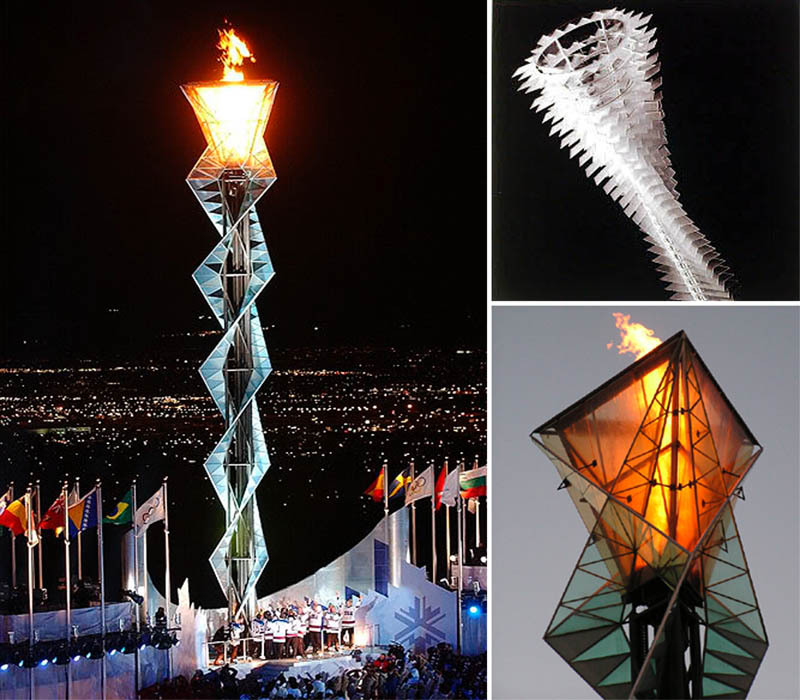 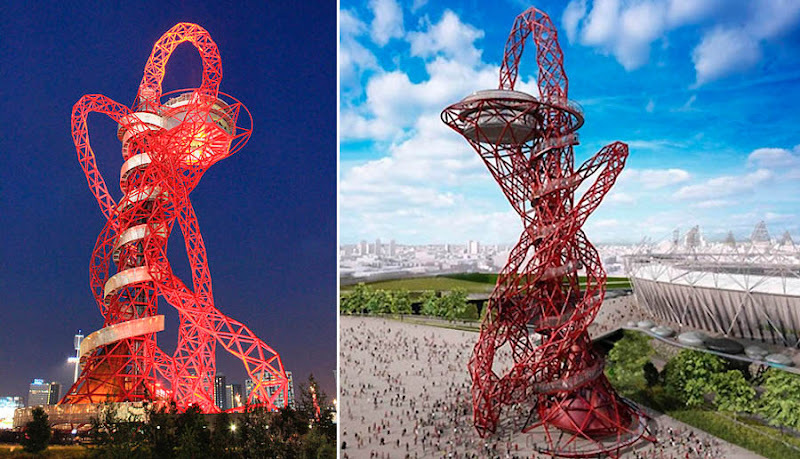 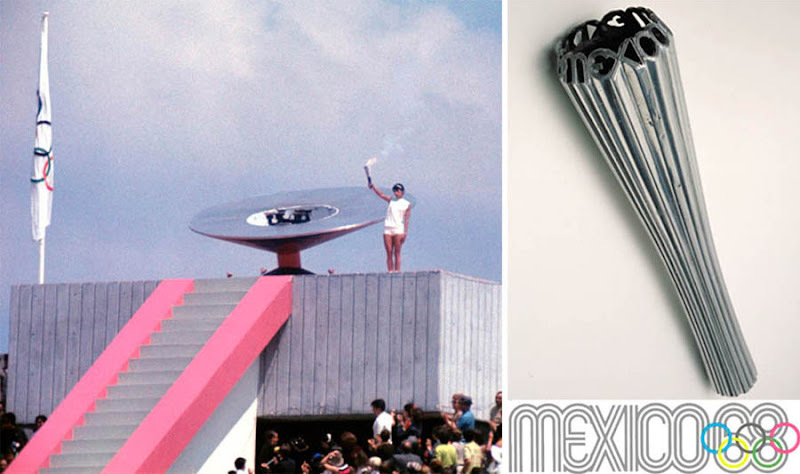 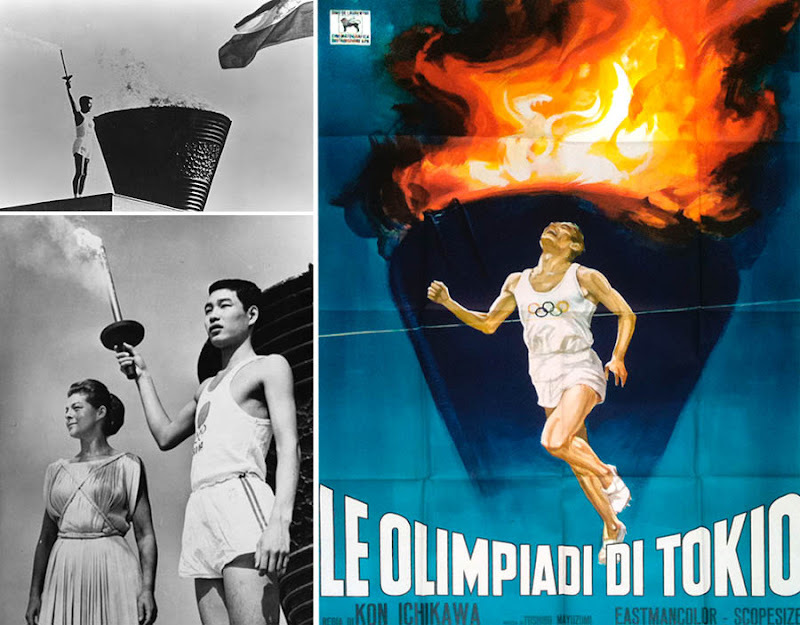 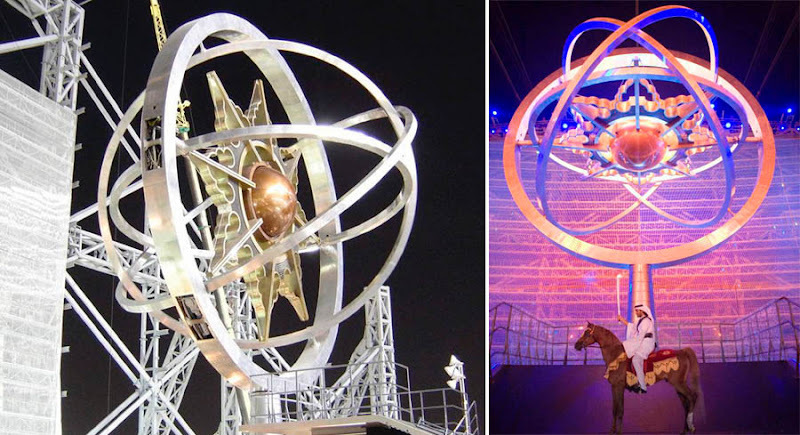 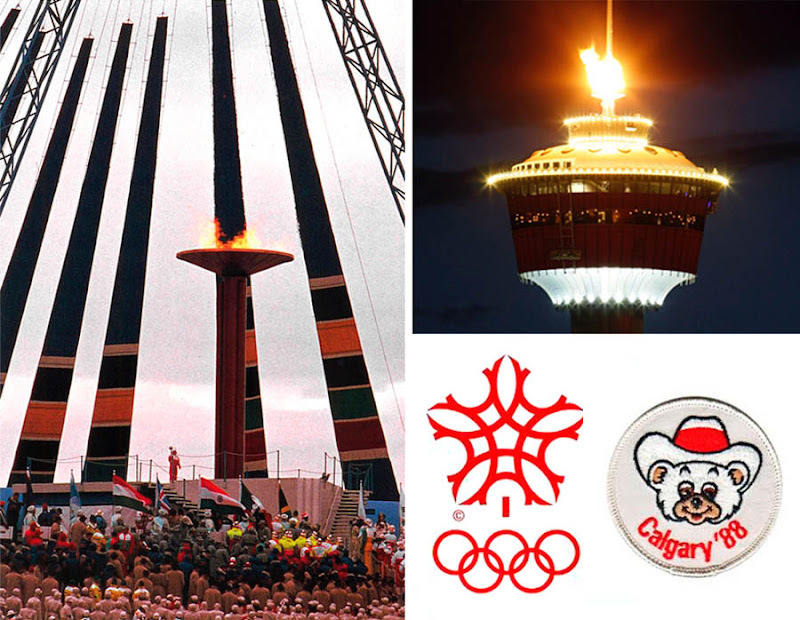 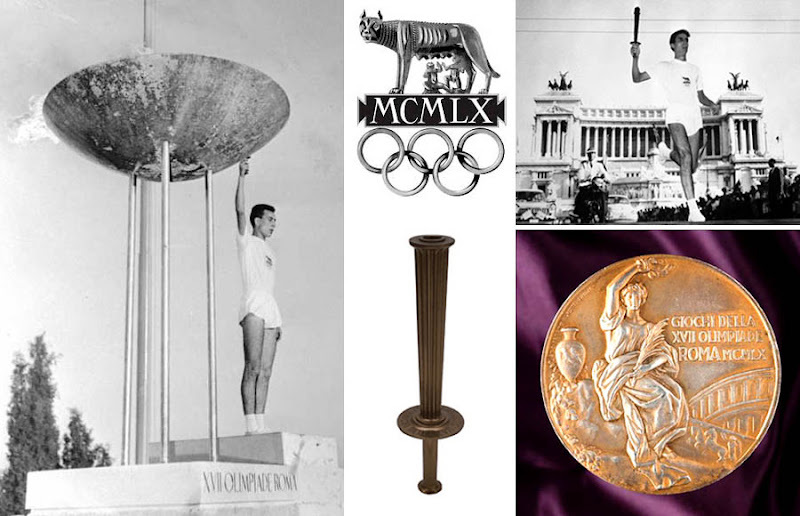 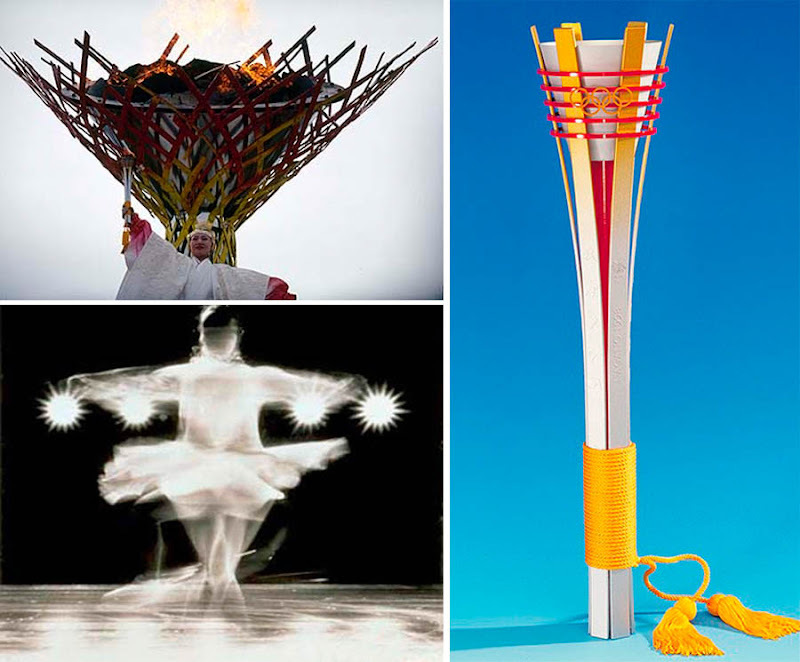 Now that the Olympics are over, it's time to reflect on some of the greatest and most innovative Olympic designs. 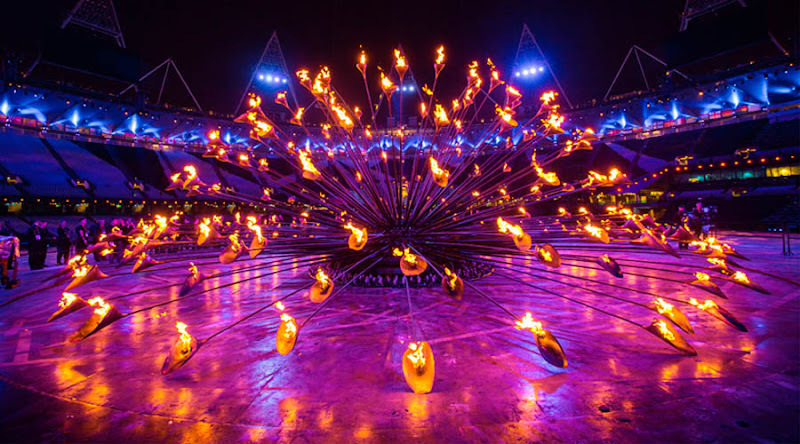 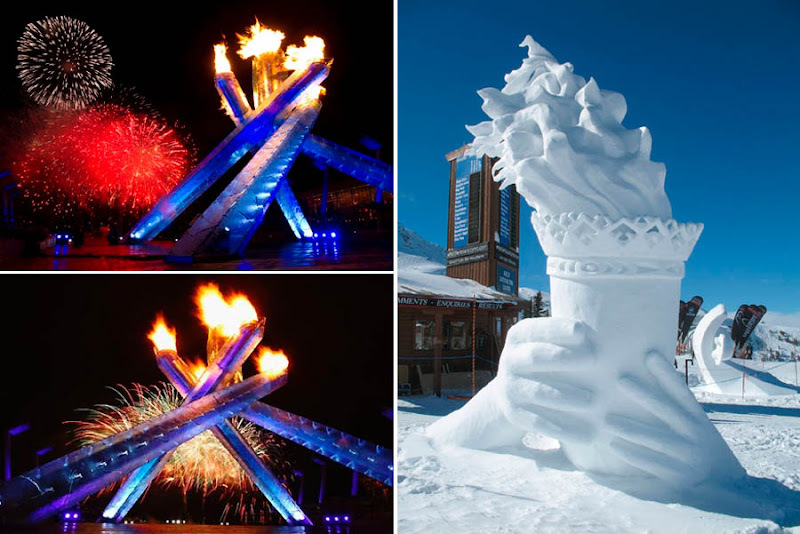 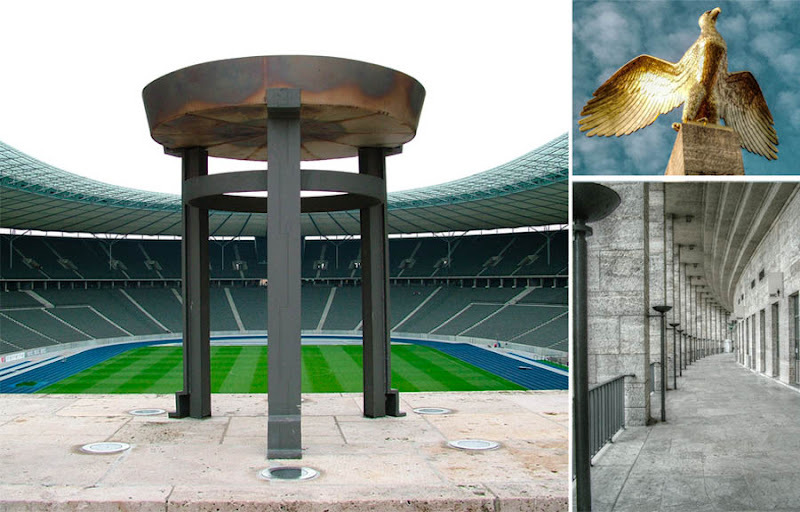 Each edition of the summer and winter Olympic Games has featured a cauldron, in which the Olympic flame is lit. 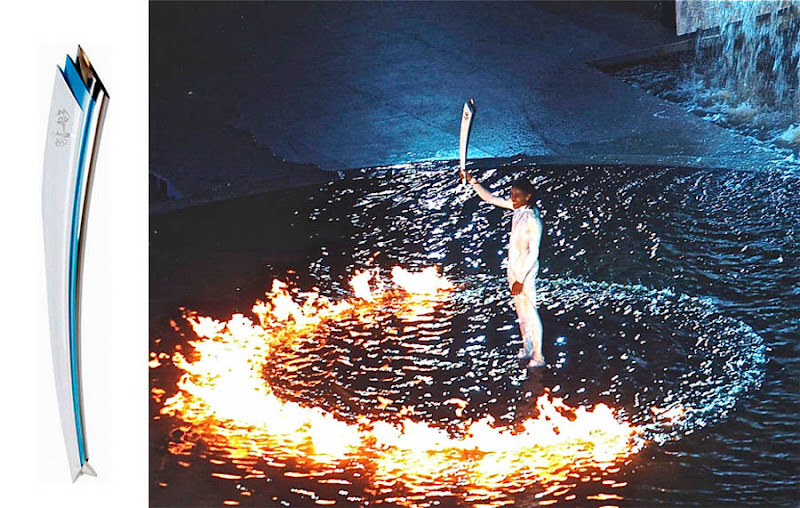 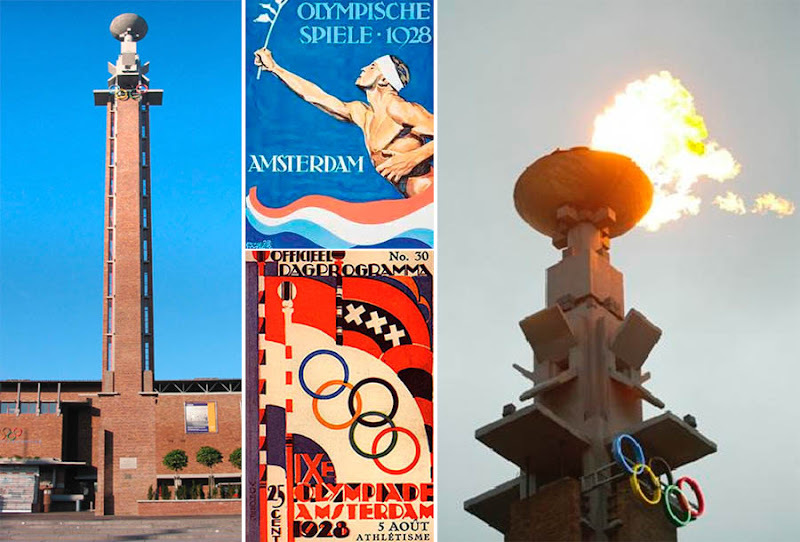 The cauldron is actually a link to the games as they existed in ancient Greece and first became part of the modern Olympics at the Amsterdam Games in 1928. 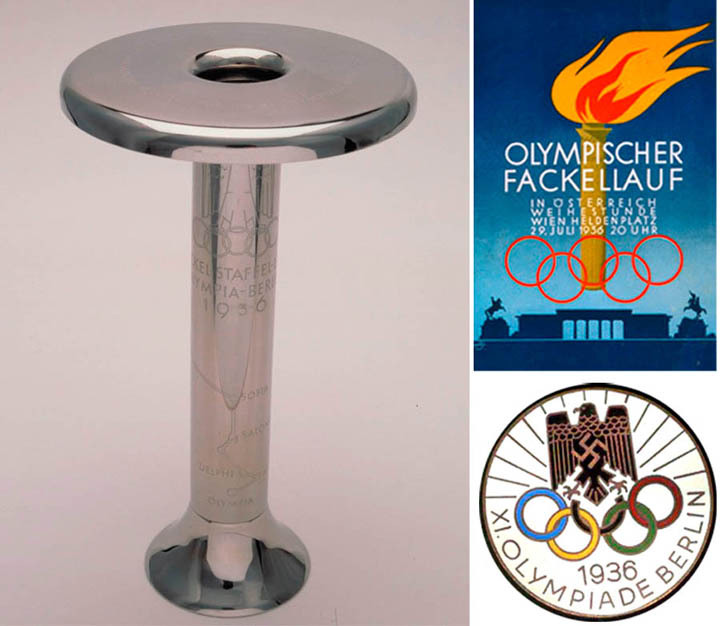 The torch relay was introduced at the Berlin Olympics in 1936. 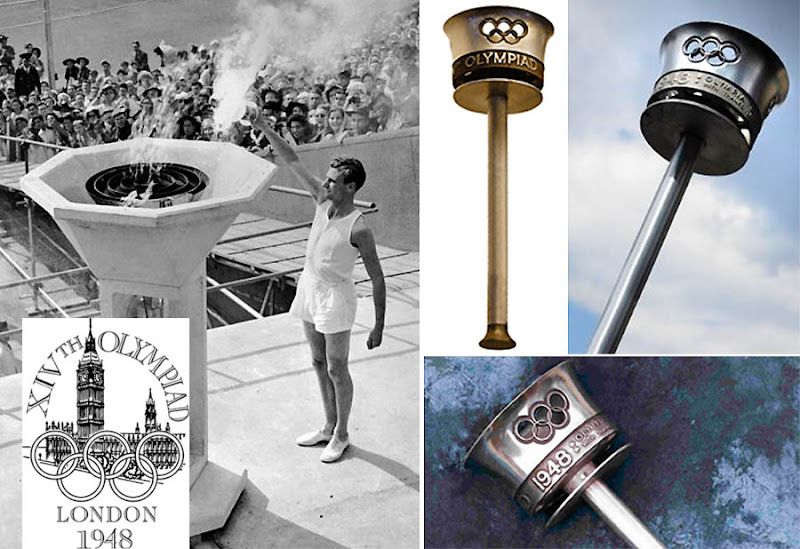 At Dark Roasted Blend, we examine some of the cauldrons and relay torches that have graced the world’s most famous sporting event since the revival of the Olympics in 1896. 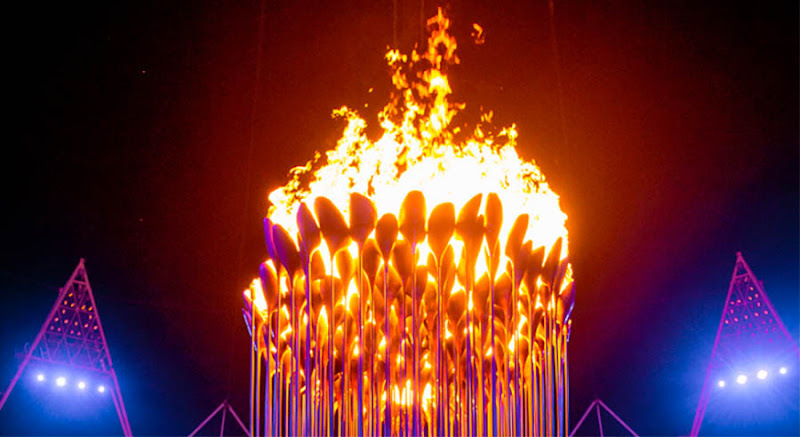 This is an interesting cauldron, from the Torino Winter Olympics in 2006. 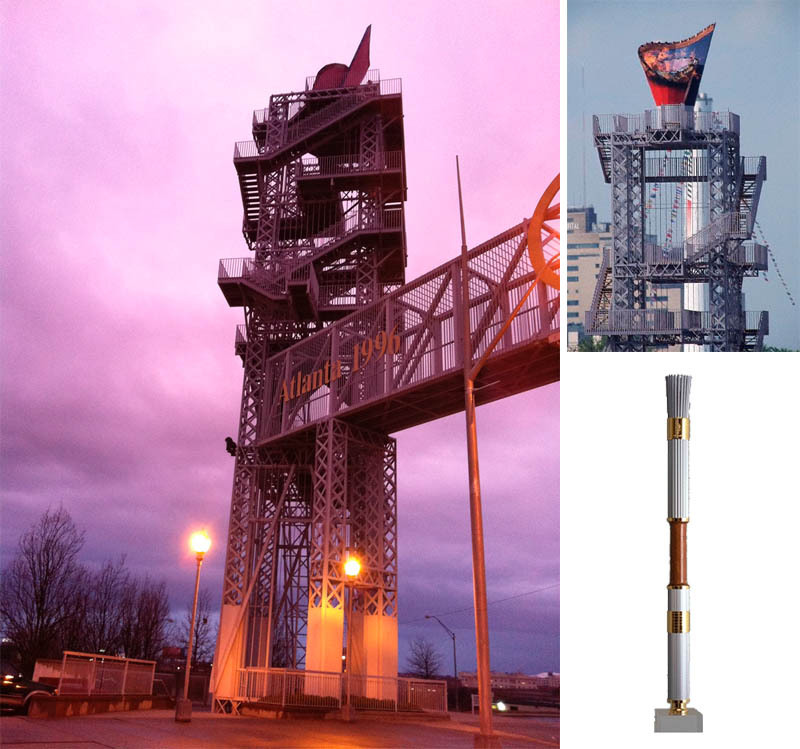 Located in northern Italy, Torino or Turin is historically the centre of the country’s car industry and a manufacturing centre, so it no doubt seemed appropriate to have an industrial theme for the Olympic cauldron. 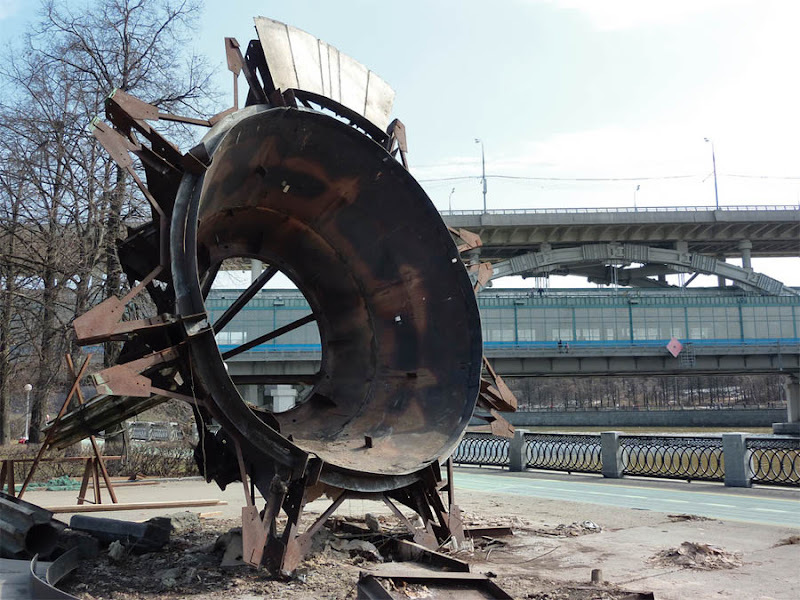 You can almost imagine this one being situated on top of a gas plant, refinery or an offshore oil platform. 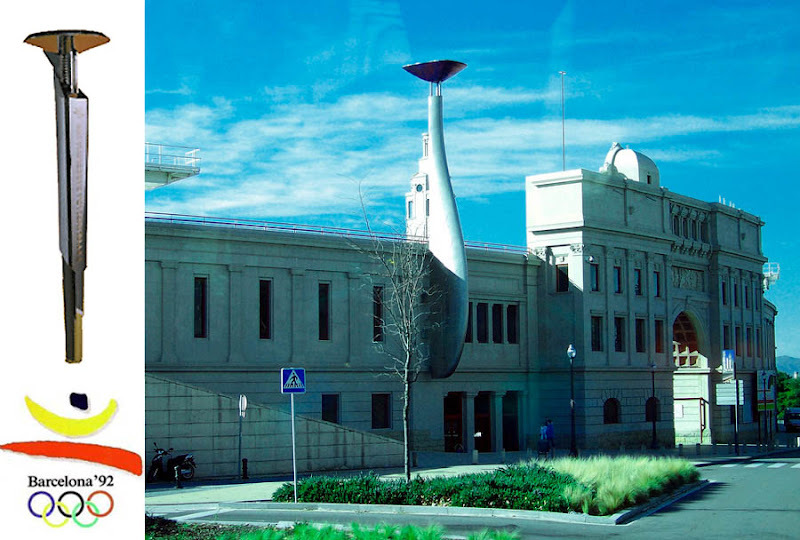 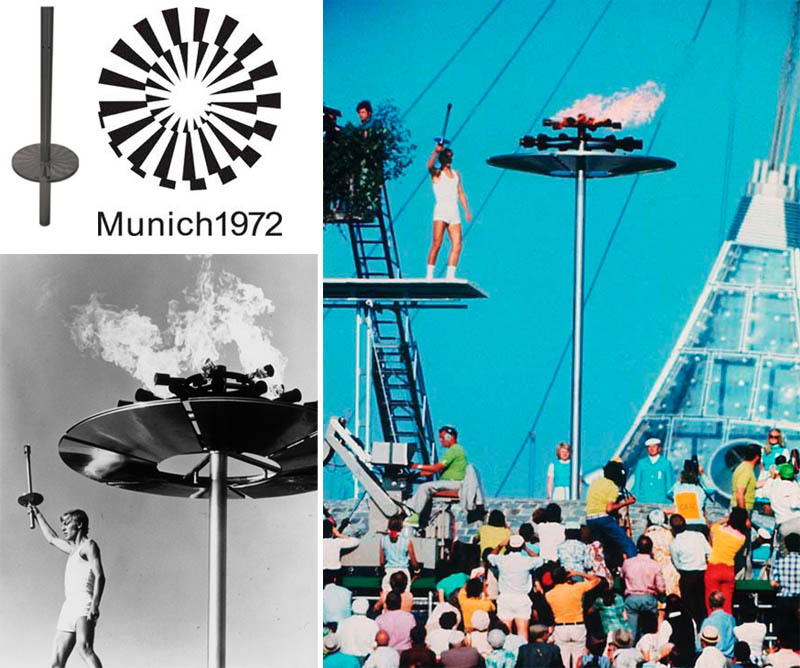 Interestingly, the shape of Turin's Olympic Cauldron is also similar to the Jewish traditional Havdalah candles, used to celebrate the closing of the weekly Shabbath. 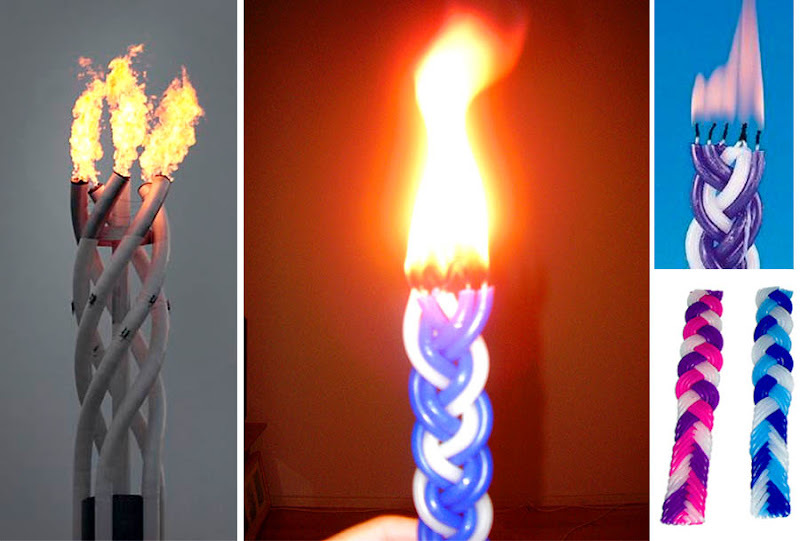 These candles symbolize joy and spiritual fulfillment, and Jewish people have been lighting them up for centuries. 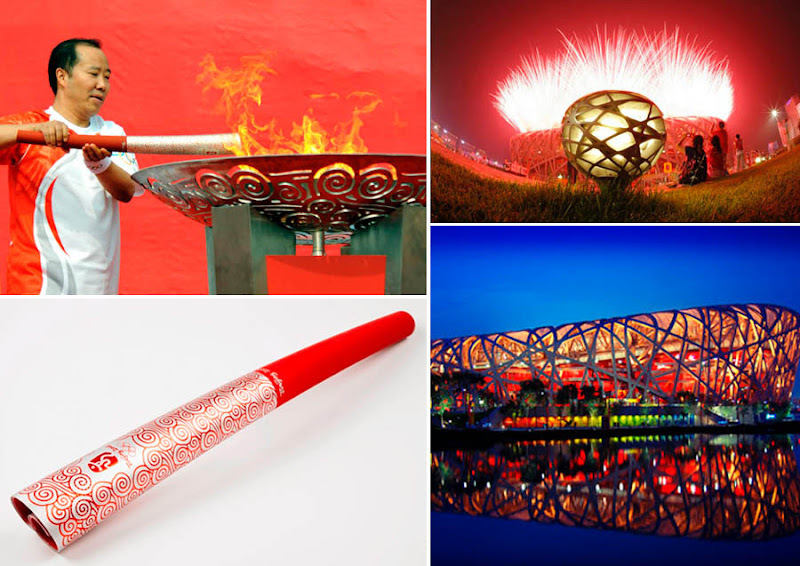 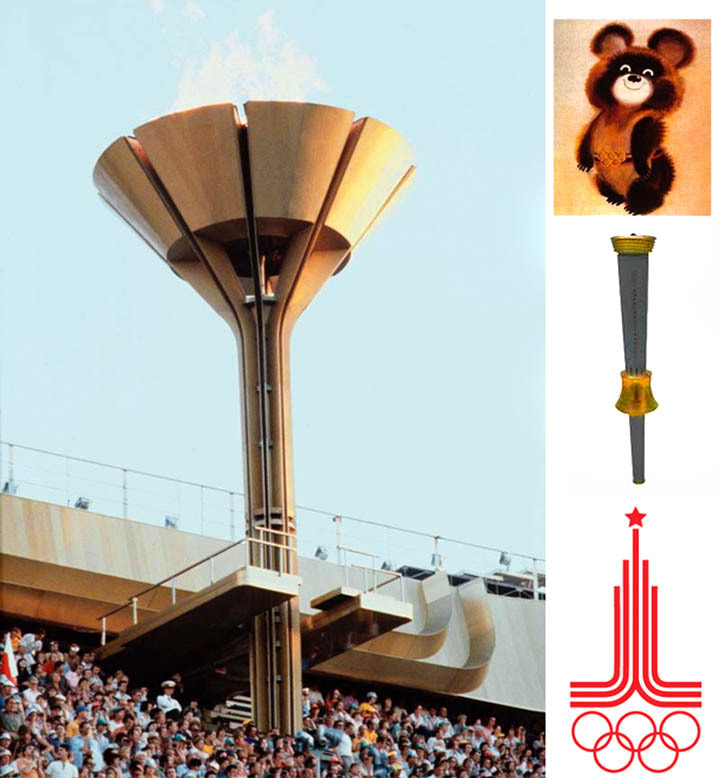 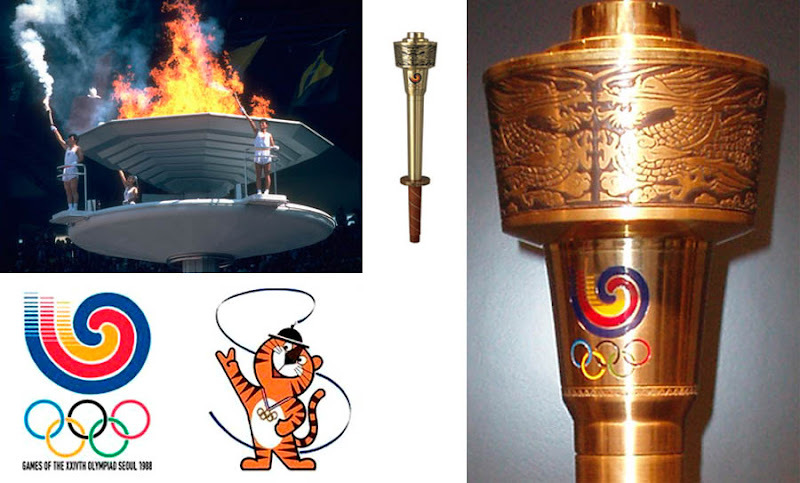 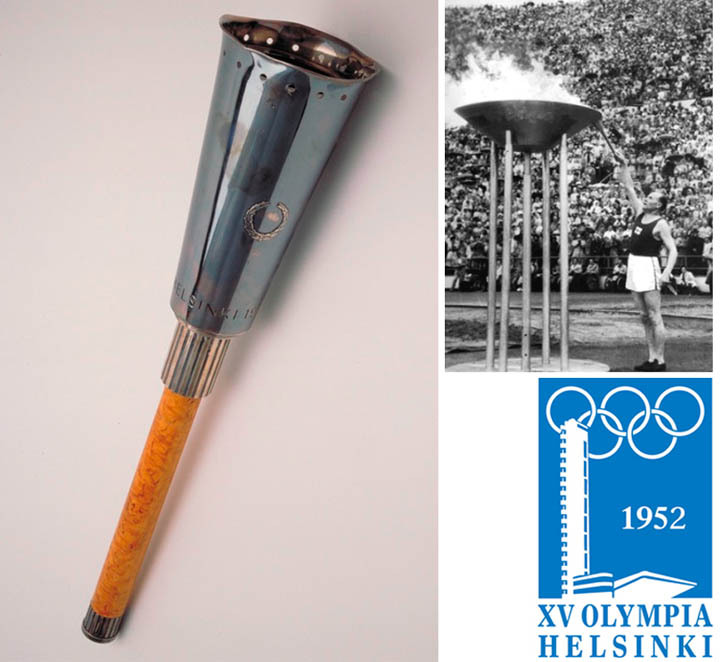 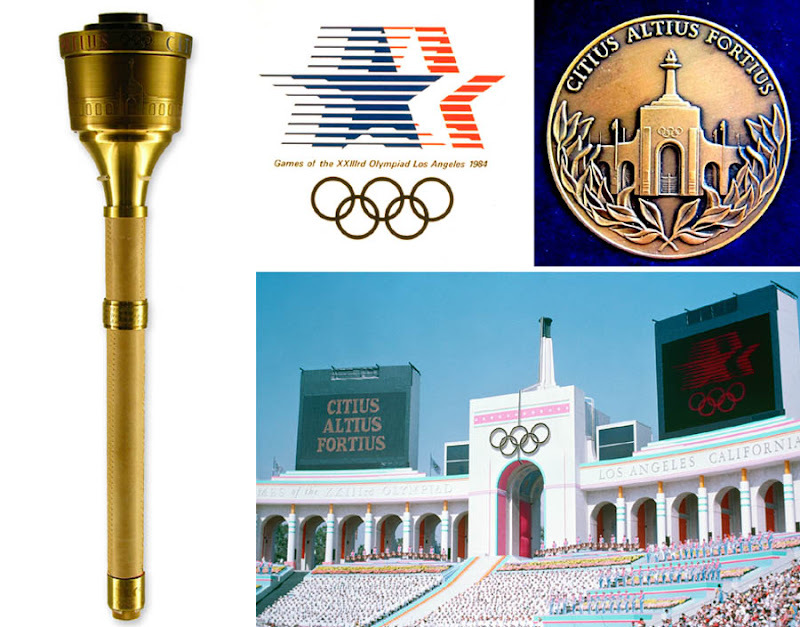 To get an idea of how much Olympic torches (and other Olympics collectible items) can fetch at an auction, see this article. 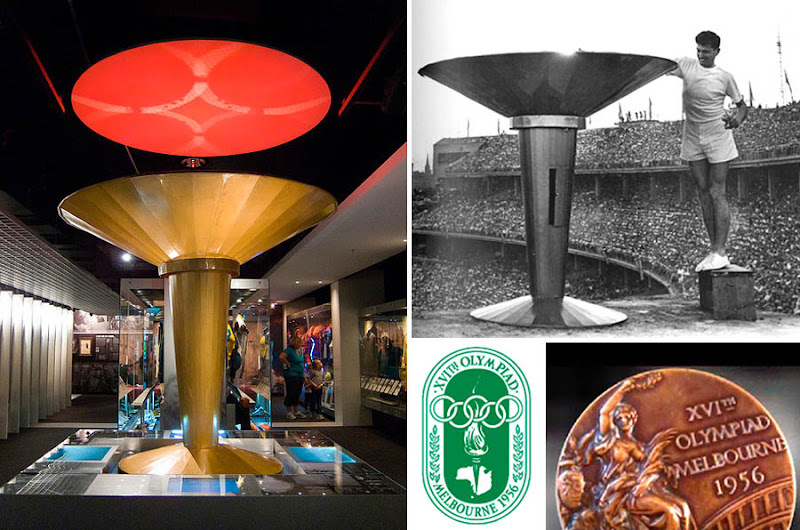 In fact, I have a color close-up of the 1960 Squaw Valley Torch (presently at the Disney Family Museum in San Francisco). 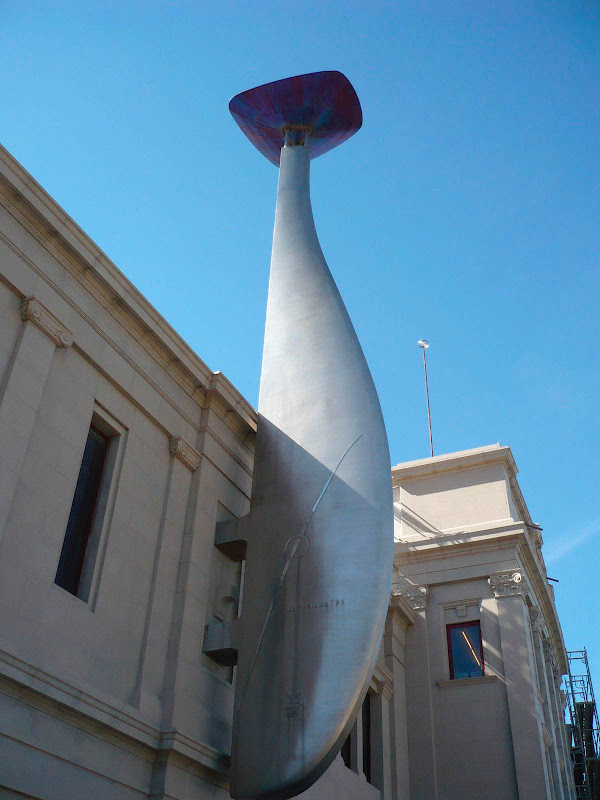 I can share that with you if you wish. 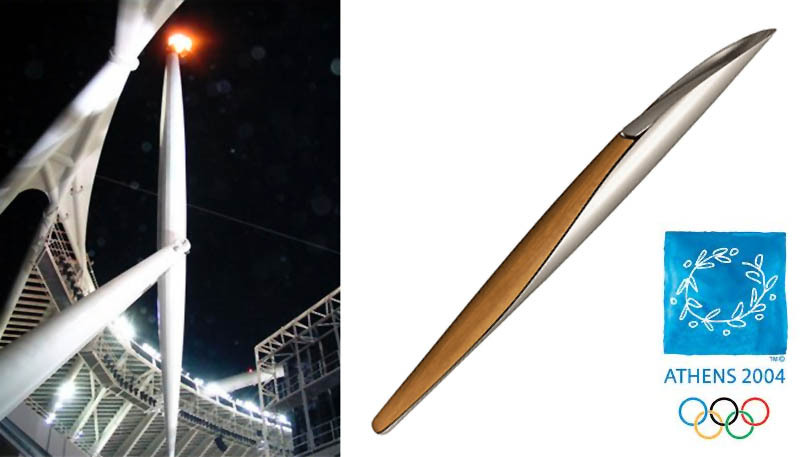 Thank you Myles! 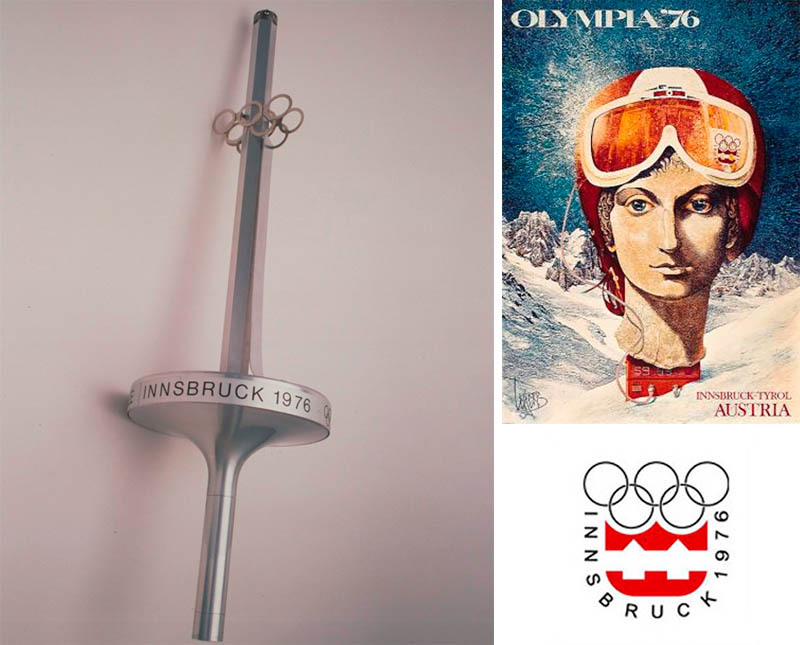 Wonderful stuff, and yes, please send us your material by email - abramsv@gmail.com - for future articles.